Chicago's South Side was the absolute epicenter of African-American creativity. In any other city, at any other time, they might've been a monstrously important band, but in the early 1970s, Boscoe was lost in the flurry of acts exploding musical genres to form "Great Black Music". 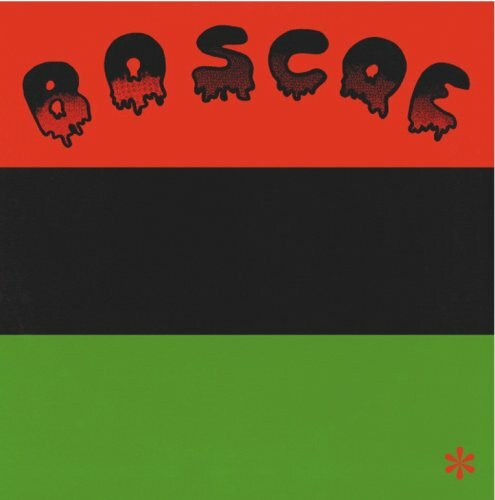 While the Art Ensemble of Chicago, Sun Ra's Arkestra and Phil Cohran's Artistic Heritage Ensemble led the charge away from mainstream culture, past the borders and boundaries of commercial music, Boscoe's lone album was denied inclusion into the canon of Great Black Music only by its obscurity. An outsider even in an outsider subculture. This is a fine album of Conscious Jazz Funk that sits somewhere between Last Poets, Bama The Village Poet and Antibalas releases. Sold mine and bought a iMac that I replaced 5 years later. Can anyone upload a rip of this album, please? Wasn't a Strutter's sig Boscoe or Death ? Not a fan but can see why it's up there. The Strut 100 has been such a great thing! Thanks for turning me on to some amazing music. I always think of George Costanza's pin code whenever this album is mentioned. This record is a unique, creative, passionate, well-conceived and well-realized opus. #12 with 15 responses? Thats an EPIC album! This has been the trend though. The more rare, the less likely people are to have experience with/much to say about the album. The common, but beloved ones get multipages. Not to say that's across the board, but it makes sense. Never seen or heard it. It doesnt make sense if it got voted higher than other albums. Just listened to the 3 clips Raj put up. The first 2 are rendered unlistenable by out of tune vocals/horns. There are many times when something like that can be endearing or charming or honest, but just doesn't work for me here. Writing on the wall is good (except the very end). This being a rare private press of less than polished - but adventurous - musicians I would be very excited to find it in the field. Has any one ever found a record in a field? Corn? Wheat? Hay? I always seem to find them in basements and garages, all moldy and musty.